Just the word “Tahiti” conjures up an intoxicating mental image of aquamarine lagoons punctuated by idyllic sandy atolls. A land of brochure-blue skies, bath-warm water and lazy days filled with massages and cocktails at sunset. But what if you don’t want to lounge around all day gazing into the eyes of a loved one? What if you want to get active? Explore a bit. Damn it, you want to earn that frozen margarita. Thankfully, there are other options. 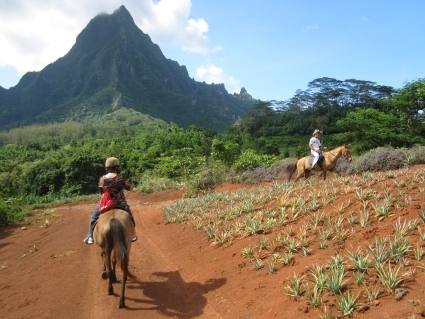 On a recent trip to Moorea, Bora Bora and the main island of Tahiti, I discovered three activities that should satisfy those with a more adventurous bent.